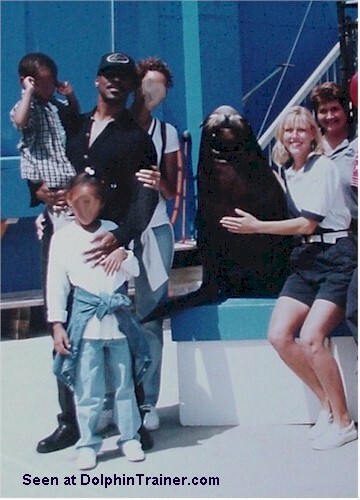 Over the years we have had a lot of famous people come visit our animals. Even though most celebrities are used to special treatment everywhere they go, most really get excited when they have to opportunity to meet our stars. 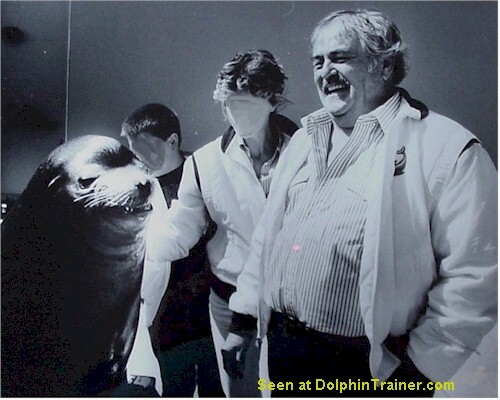 Hey, isn't that Captain Kirk (William Shatner) kissing that killer whale! Well, why not? Over the years he's kissed quite a few beautiful alien ladies...and this one's a real sweet heart. Most of the celebrities that meet the animals really get into it. 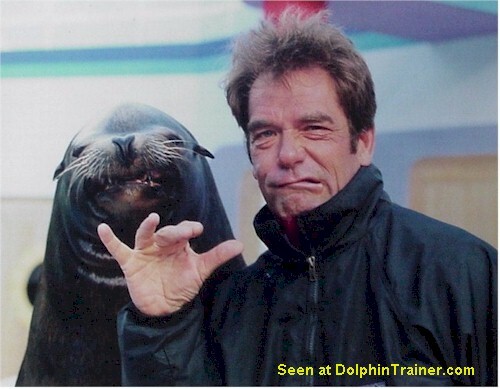 Singer Huey Lewis showed his great sense of humor hamming it up with a sea lion with a big talent for big grins. Sports stars also are known to stop by for a critter "meet and greet" from time to time. 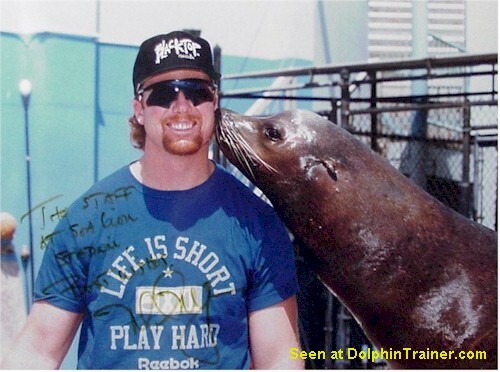 One the biggest names in baseball, Mark McGwire gets a kiss from a sea lion. Congratulations, no doubt, for his record breaking career. 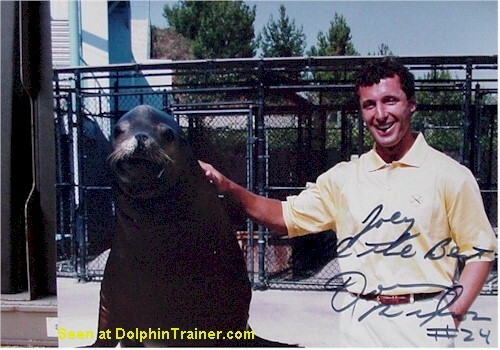 Hockey legend, Doug Wilson gives a sea lion star a pat on the back for his own stellar performance. This is probably our favorite celebrity trainer photo of all time. 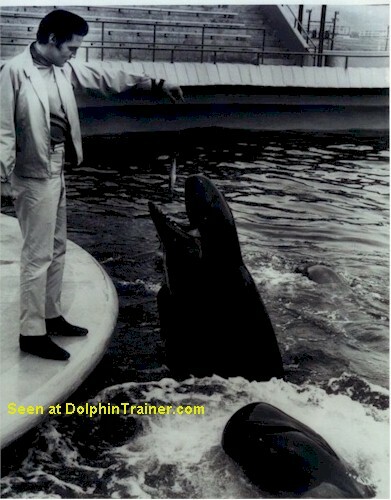 Here is the "king" himself, Elvis Presley feeding a fish to a false killer whale (Pseudorca crassidens) at Marineland of the Pacific. Marineland was located in Los Angeles, CA from 1955 to 1987. Being so close to Hollywood it was visited by a bunch of famous people and served as a location for quite a few movies and TV shows. This photo was probably taken in the early 1960s. Man, check out the cool shoes!